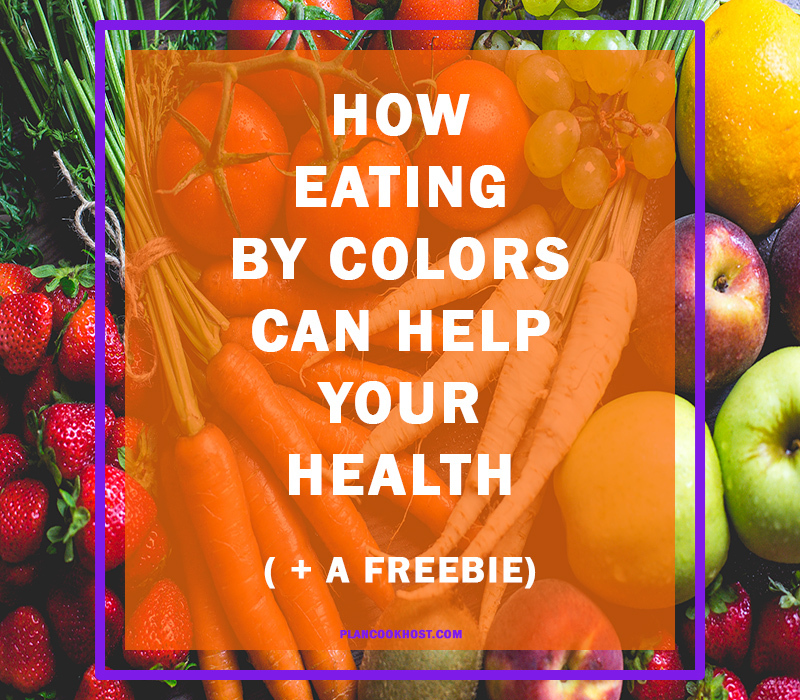 Red, orange, yellow, green, blue, indigo, and violet.Seriously, this is what I use to color coordinate my closet, but this should be a rule of thumb when you are eating. The colors in food that we eat reflect the presence of powerful phytonutrients naturally occurring chemicals that have protective or disease preventative properties, that are passed on to you when you consume them. You know the saying, "Eat with your eyes" - well that is how you should be eating everyday to ensure that you are getting the maximum health benefits from your food. The different colors of food provide different benefits to your body, so it is important that you experience all of the colors of the food rainbow. Truth be told, the right foods help protect your body against disease that wants to attack your body. Not only does food protect your body, food can also help heal your body. It is important to feed your body the right foods, so that you are using food to work for your health instead of against your health. Let's get to exploring the color of foods - the benefits and what foods you can buy to reap those benefits. Red and bright pink foods contain phytonutrients such as lycopenes, anthocyanins, resveratol, and capsaician. These help slow and prevent cell deterioration, neutralizes free radicals (damaging chemicals that attack the body), blood circulation, inflammation, protect against cancer and acts as a pain reliever. Red foods support the prostate, urinary tract, DNA health, vision, and the heart. The brighter the red the more concentrated is the food in nutrients. Orange foods contain the phytonutrients such as beta-carotene, beta-cryptographic, curcumin, alpha-carotene, hesperidin, and narigngenin. These help stabilize blood sugar, bone and cell growth, stimulate DNA repair, and stop free radicals. It also converts carotene into as much Vitamin A the body needs, excess Vitamin A can be toxic for you. Orange foods support skin and bone health, vision, and your immune system. Yellow foods contain the phytonutrients such as bromelain, lemonoids, lutein, and zeaxanthin. These help lower cholesterol, protect against cancers and macular degeneration (incurable eye disease -YIKES), and aids in digestion of starches and proteins. Yellow foods supports the heart, eyes, healthy growth development, digestion and the immune system. Green foods contain the phytonutrients such as chlorophyll, apigenin, luteolin, catechins, and isothiocyanates. These help strengthen the blood making organs, reduces heart risks and neurological conditions, prevents memory loss, stabilizes free radicals, helps rebuild and replenish red blood cells, and prevents cancer. Green foods supports the eyes, liver, nerve and muscle functions, lungs, and cell development. Blue and purple foods contain the phytonutrients indoles, ellagic acid, and athyocyanins. These help against inflammation, slow and prevent cell deterioration, and has anti-cancer properties. Blue/purple foods supports the urinary tract, heart, brain, bone, arteries, vision, and cognitive health. Eating foods of all colors provides your body with many health benefits that can protect and heal your body. What colors are you missing from your food rainbow? Go to your local farmers market or grocery store and shop by color - buy the colors that are missing from your food rainbow. Sign up below for your FREE Food Color Guide to get you started.